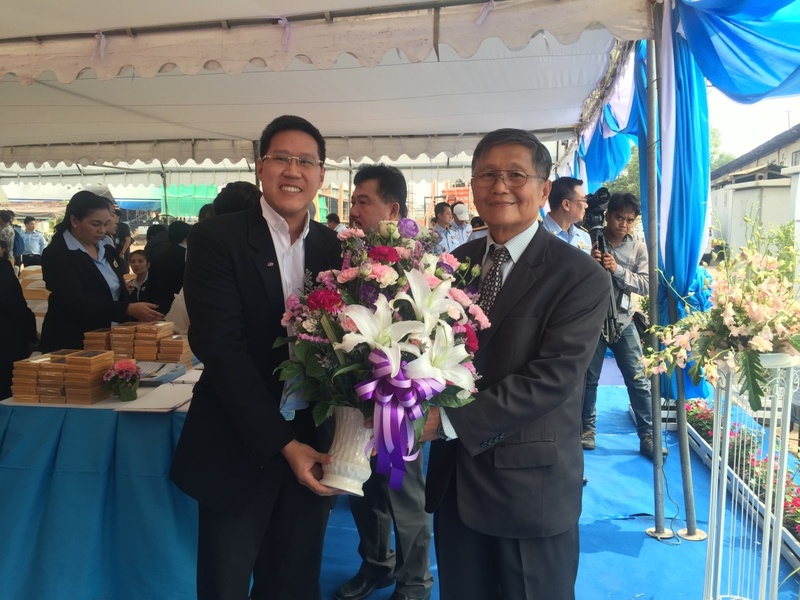 EA Mechanics Company Limited was invited to the Ceremonial Ship Launching, which was arranged by Department of Natural and Coastal Resources on 24th February 2016 at Italthai Marine’s Dock, Samut Prakan, Thailand. Ceremonial Ship Launching is a traditional launch the vessel to the water and to celebrate the new ship, which has a history over 3000 years. 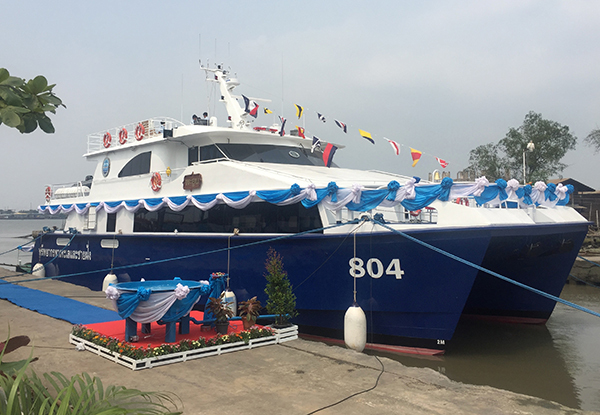 This event was honored by a presence of General Surasak Kanchanaratana, the Minister of Natural Resource and Environment as the chairman of the ceremony, and the vessel was christened by Associate Professor Narapon Chan-O-cha. 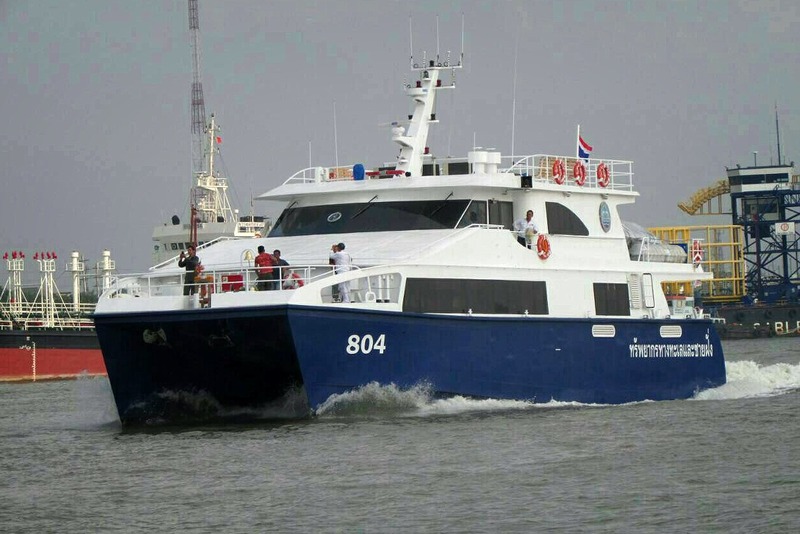 Pa-Yoon 804, under the Department of Natural and Coastal Resources was built by the Italthai Marine Company Limited. This Catamaran vessel is built to serve the purpose of supporting all natural and coastal resources activities. This is a fast speed vessel built by aluminium alloy with diesel engine. Specification and Design: The vessel was designed by Global Marine Design, Australia and entrusted with 2 main propulsion sets engine from EA Mechanics. 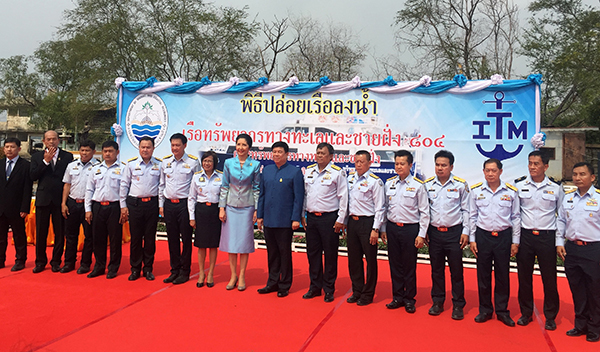 In the middle: [Lady in light blue] Associate Professor Narapon Chan-O-cha who christened the ship and [Men in blue] General Surasak Kanchanaratana, Chairman.